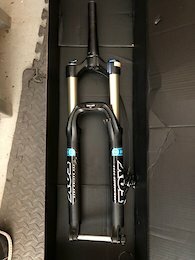 29er RS SID 100mm fork, for 120-130 SID, Pike or ? I need a little more travel for my size. I would like to trade my Rockshox 29er SID brain 100mm fork for a 120mm 29er travel fork. I would like to trade for another SID but will consider Pike,or other comparable fork with 15 x 100 spacing. 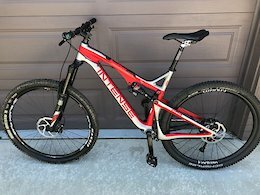 Here is a beautiful full carbon full suspension mountain bike. Fox Factory Float Kashima 130 mm rear travel shock. Rockshox RC3 Revelation 140mm front travel fork.15 x 100 through axle. 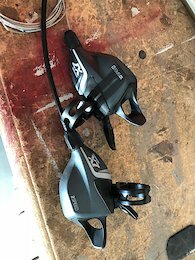 Shimano XT Hydraulic disc brakes with 180mm rotors. 125mm seat post dropper with handle bar remote lever. Shimano XT 1 x 11 shifter and rear derailleur with 11x42 Shimano XT cassette. Easton Carbon 35mm x 780 bar. Frame is in excellent condition. No cracks, dents, soft spots, or deep scratches. has a tiny bit of cable rub now protected by 3m tape. Frame looks brand new. Bike rides fantastic. only reason for selling is I have too many bikes, and need to make more room in the garage. 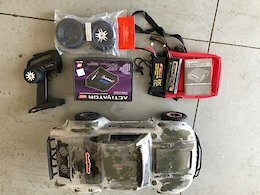 Reasonable offers accepted, Please no low ballers. How's the healing going? hope you're not laid up too much longer.